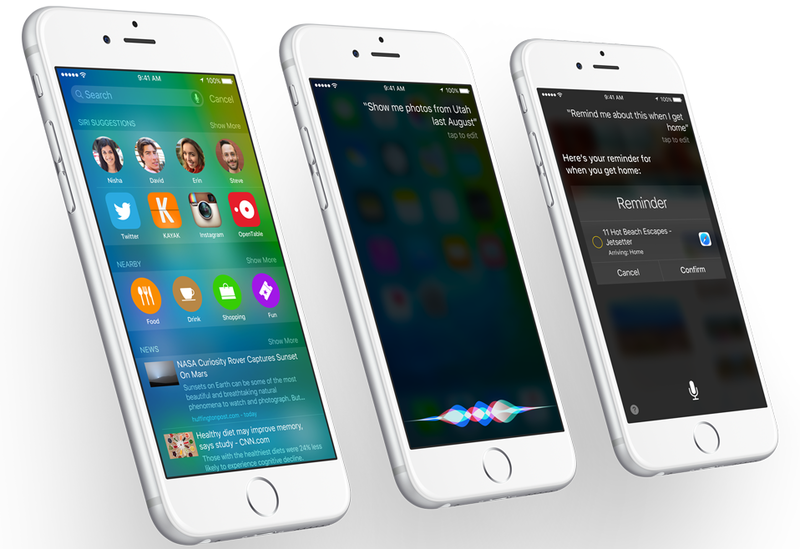 Apple has released the third developer beta of iOS 9 that comes with a lot of bug fixes and it also includes the Apple Music. We remind you that Apple Music was not added to the first two developer betas. The upcoming iOS 9 that will be officially released this fall is going to come with new features such as Transit directions for maps, News aggregation application, CarPlay and Notes improvements and a new passbook application (which is now called Wallet). After installing the iOS 9 on the iPad you will notice some new features such as QuickType keyboard, picture-in-picture support for video, split screen support and multitasking features via Slider Over. At the same time, Apple has released the first public iOS 9 beta so that everyone can test out the upcoming iOS version. However, we remind you that this version is in BETA and it will contain a lot of bugs and you will most likely feel like a tester while using it. It seems that Apple understood that if iOS 9 beta is launched for the public, they can gather a lot of information and they can fix bugs and errors before the iOS version gets officially released. Before we tell you how to install the iOS 9 BETA on your device, we want to remind you once again that this version is currently in BETA, which means that it still contains a lot of minor/major bugs that will need to be fixed before the new OS gets officially released. So, if you don’t have the nerves or feel like you are a “guinea pig”, we suggest you don’t install the iOS 9 on your iDevice. However, if you want to test it out and see what features will come on the iOS 9 this fall, you can install the iOS 9 Public BETA and test it out. First of all, you will need to head to https://beta.apple.com/sp/betaprogram and sign up. You will need to enter your Apple ID information and you will receive an email with the Download Profile Link. Now, go to the iPhone/iPad that you want to test out the iOS 9 and tap the link that you’ve received on your email. You will then need to tap on the “install” button and enter the PIN of your device. After that, you will need to restart your iOS device and after it restarts, you will need to head to Settings->General->Software Update and you will most likely see the iOS 9 BETA listed as “waiting software update”. Proceed to start the installation as you would do on any other iOS update. When the installation is complete, the device will restart and after that you will notice that it already runs on the iOS 9 Public BETA. Have fun testing out the iOS 9 BETA and please don’t forget to report the bugs that you find to Apple. In case you feel that the iOS 9 BETA has too many bugs, you will be able to downgrade back to iOS 8.4. 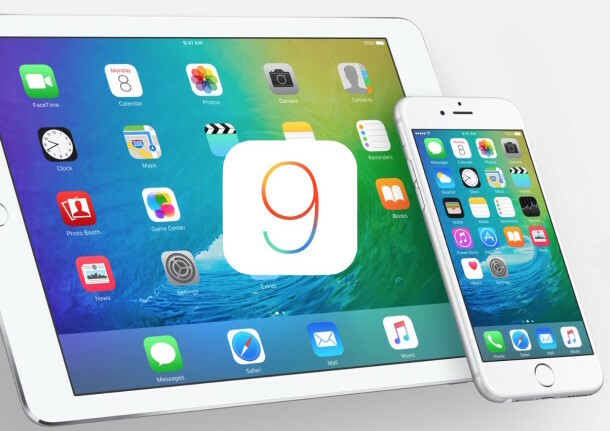 Apple has released the developer BETA 3 of iOS 9. Keep in mind that since this is a developer BETA, there are high chances that it will have even more features that are currently found on the iOS 9 Public BETA. The downside is that it will most likely have even more bugs and errors. In order to install the iOS Developer BETA 3, you will need to be a developer and have a paid Apple Developer membership. However, keep in mind that by installing iOS 9 Developer 3 BETA, you will put your device at a higher risk. Usually the developer versions of operating systems and application are made especially for developers who can understand a little bit more about what’s happening in there and they can figure out how to fix the issues without breaking their devices. So, if you don’t feel ready to test out the iOS 9 Developer BETA 3 version, but you still want to test out the iOS 9, we suggest you to install the iOS 9 Public BETA version. We remind you that if you break your iOS device while testing out the iOS 9 BETA version, you will have to ditch it and buy a new iOS device. At the same time, nobody will give you the money back to a device that you’ve broken while testing a BETA iOS version. In other words, if you are new to installing and testing out an iOS 9 BETA on your iPhone or iPad, you’d better just wait until this fall and install the stable iOS 9 version. Are you going to test out the iOS 9 Public BETA or iOS 9 Developer BETA 3 on your iPhone or iPad? Have you tested the iOS 9 Developer BETA 1/BETA 2 on your iPhone or iPad yet? Tell us your thoughts about it!